I luurrrvveeee an outdoor wedding which is why I’ve decided to create a list of some of my favourite Essex outdoor wedding venues! 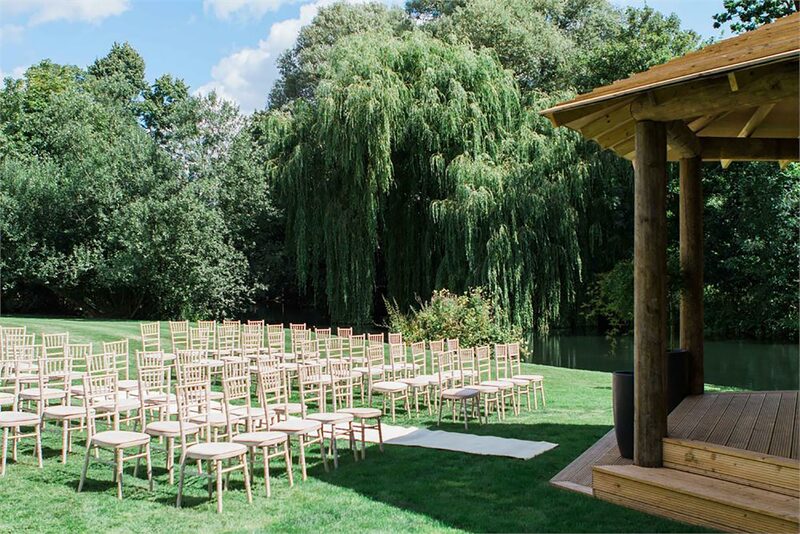 On this post you’ll find all kinds of Essex outdoor wedding venues ranging from tipi venues to woodland venues and beyond. 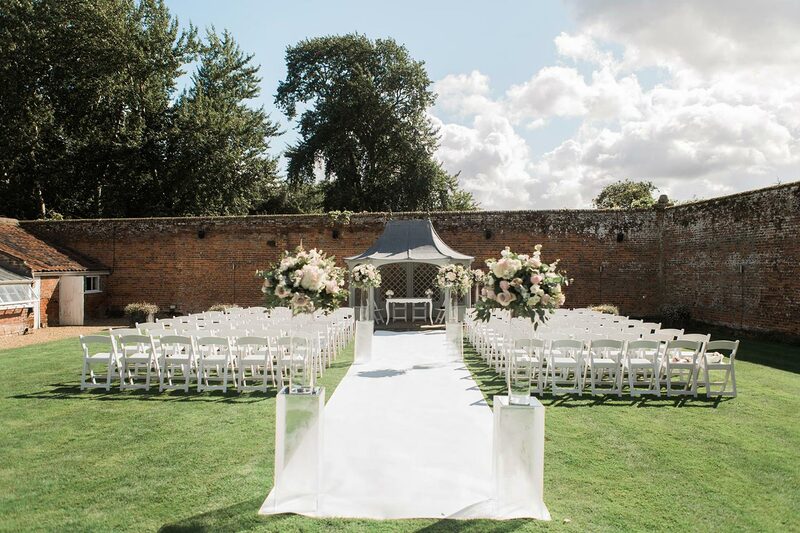 This list won’t contain all of the Essex outdoor wedding venues but more those I recommend most and absolutely love working at! It makes such a difference to work alongside such friendly staff in a fab location and that is something I can confirm about all the venues below, so be sure to take me with you if you do book any of them… hehe! One of the most versatile Essex outdoor wedding venues with heaps of space and the sweetest owner, Bryony! I love this venue because it gives you so many different options (5 in fact!) to create a wedding that is perfect for you. With the option of an outdoor wedding on the grass meadow with views of rolling Essex countryside or perhaps the industrial, modern Grain Store might take your fancy. 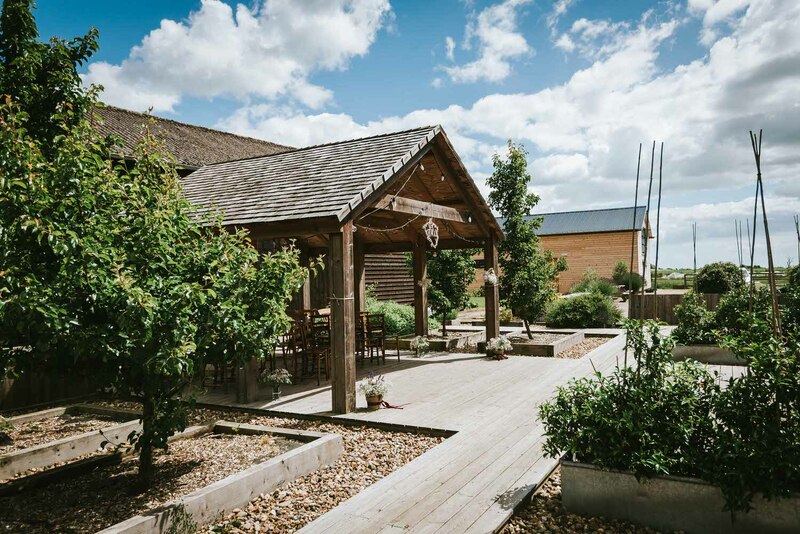 You can pretty much guarantee whatever type of outdoor wedding in Essex you’re planning, The Barns at Lodge Farm will have an amazing space for you. 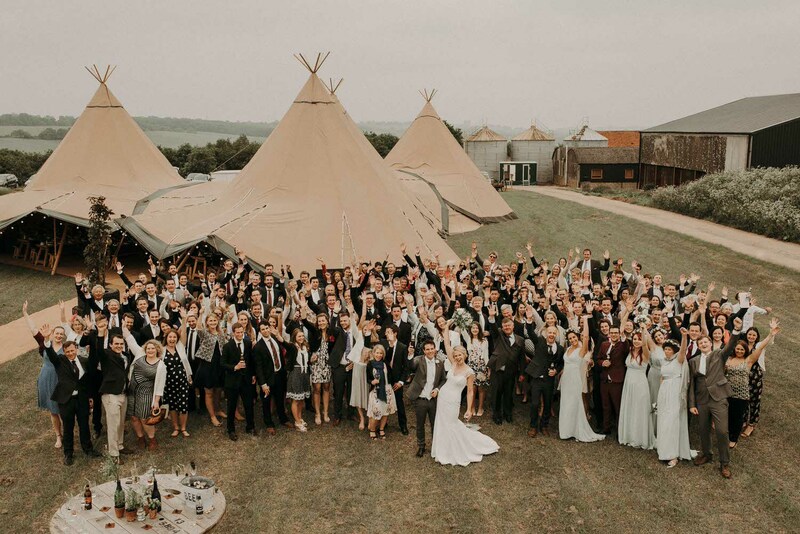 With a tipi set up all Summer Chalkney Water Meadows is an Essex outdoor wedding venues perfect for those lusting for a festival wedding, making a weekend of it with all of your loved ones. Onsite bell tents provide the perfect base camp for all of your guests to spend the weekend and relax to enjoy your wedding knowing they don’t have to worry about transport to a hotel after a few drinks! Chalkney Water Meadows has the such a beautiful setting and the last Chalkney Water Meadows wedding I photographed consisted of early morning swims in the blissful lake before kicking off the wedding celebrations. Just the most serene and tranquil of all Essex outdoor wedding venues. 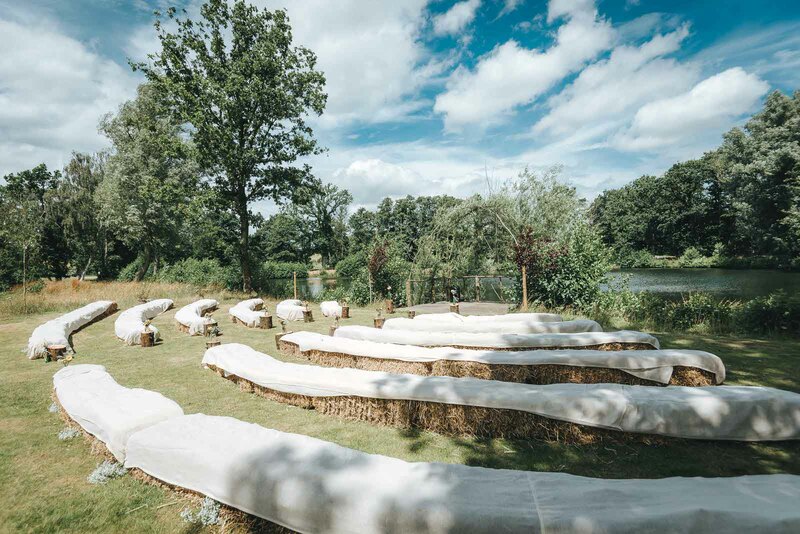 Teybrook Orchard is one of the most intimate Essex outdoor wedding venues, another beauty by the fabulous Browning Bros, Archie + Nat, and gives couples the option of having a smaller more personal wedding that is outdoors and in an equally stunning setting. Just down the road from Chalkney Water Meadows, Teybook Orchard is nestled among 20 acres of beautiful woodland and also provides options for glamping, including a converted grain silo providing accommodation for up to 36 guests! As one of the few Essex outdoor wedding venues this may not spring to mind immediately when you’re thinking about outdoor wedding venues in Essex as Blake Hall often host weddings inside their lovely Hay Barn, however Blake Hall does have the facilities for a beautiful outdoor wedding under The Saddlery! 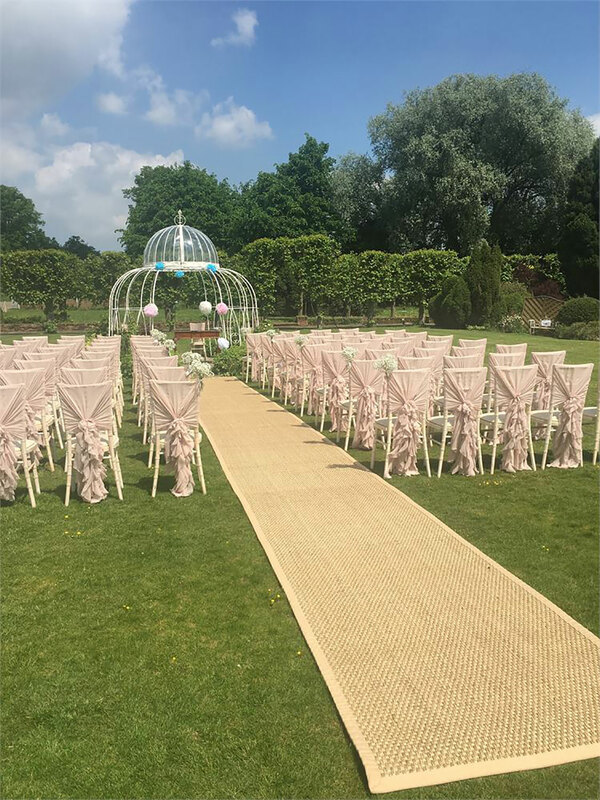 Such an elegant venue with absolutely wonderful gardens surrounding it makes this such a lovely option to consider when looking for Essex outdoor wedding venues. Previously Houchins offered only the one outdoor ceremony space as an Essex outdoor wedding venues under their Loggia which is a great space for a large number of guests, but more recently Houchins have opened their brand new outdoor ceremony space in the onsite woodland which is perfect for those wanting a more relaxed, rustic wedding amongst nature and those looking to completely personalise their ceremony setting. The whole venue has such a lovely feel to it and the staff are always very attentive. Parklands, Quendon Hall really is a wedding venue with so much style and sophistication. You only have to pull into the driveway to be hit by it’s impressive charm. 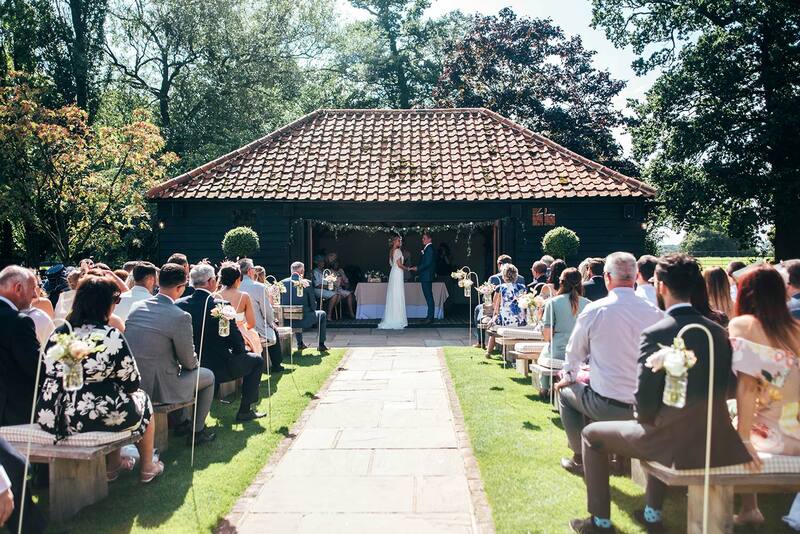 Most Essex outdoor wedding venues tend to be very rural whereas Parklands, Quendon Hall is set amongst it’s own picturesque landscape and offer something different for those wanting a more chic take on Essex outdoor wedding venues. 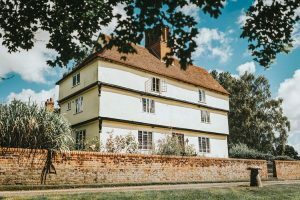 Of all the Essex outdoor wedding venues on this list, Creeksea Place Barns is probably the closest to the coast, which is great if you’re a lover of being near the sea (like me!) It’s such a lovely venue offering accommodation in the form of guest houses/apartments so that all of your closest friends and family can make a weekend of it with you! There’s a BBQ area, communal dining room/living area, gym and spa to name a few of the great facilities, so this venue really would be ideal for a relaxed, family-oriented wedding where tradition takes a backseat and having a blast is your biggest desire. Another of the more sophisticated Essex outdoor wedding venues is Braxted Park, it’s simply stunning. The most impressive drive up to the main house really is breathtaking and could be the ideal location for your Essex wedding. Braxted Park has a secret garden that is full of beautiful blooms and the perfect backdrop for your wedding photographs. Their outdoor ceremony space is located within the charming gardens and has such a romantic feel. I mean the name says it all really doesn’t it? That Amazing Place is one of the most modern Essex outdoor wedding venues and offers such a wonderful outdoor space for your ceremony. The venue actually dates back to the 15th century but has been lovingly renovated inside creating a beautiful space. The photo below by Amanda Karen sets the scene and I can’t help but just adore that weeping willow! How tranquil does West Street Vineyard look?! Overlooking the River Blackwell this Essex outdoor wedding venue is located in such a peaceful setting amongst the vines. I’m pretty sure we can guarantee they’re gonna’ have lots of delicious wine available on the day! 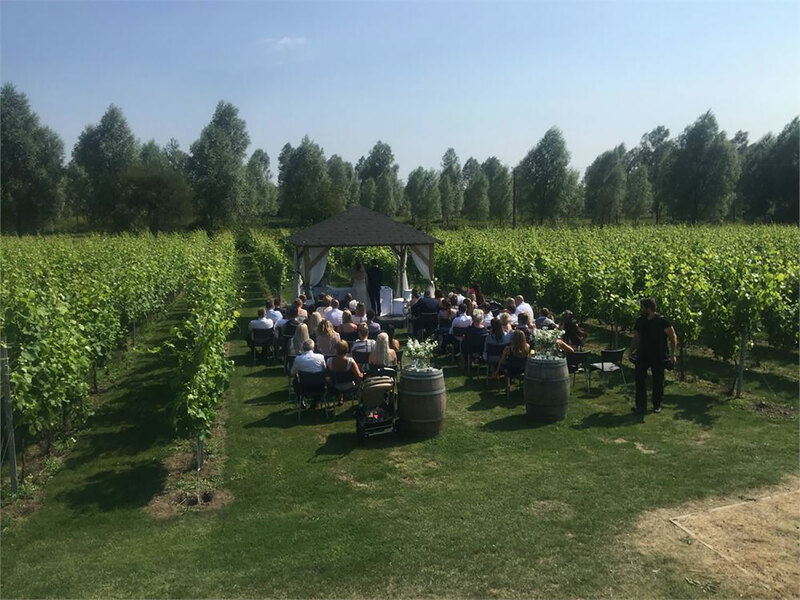 If you’re looking for Essex outdoor weddings venues that are unique and unlike most locally then West Street Vineyard could be the one. Of course if you’re looking for Essex outdoor wedding venues that offer 100% customisation then your best bet may be doing things yourselves, e.g. arranging a tipi to be set up in a local field (where you have permission from the landowner) and that way you can be as adventurous as you like with your wedding grand plans and not be too restricted. Alternatively if you’re fortunate enough to have a large garden or have a family member that does, you could opt for a celebrant-led wedding in the comfort of your home surroundings.